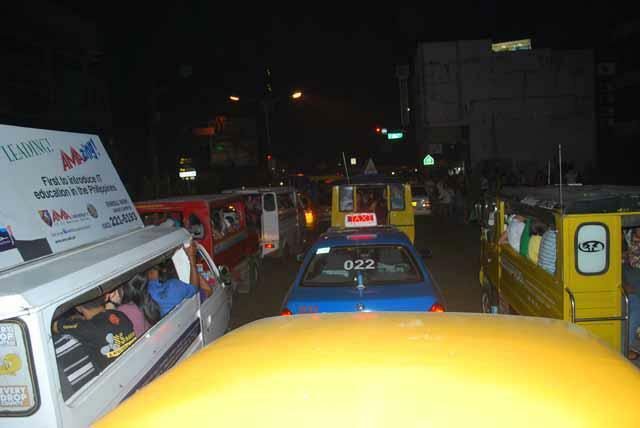 The Joy of Jeepneys! – Beware the Comfort Zone! 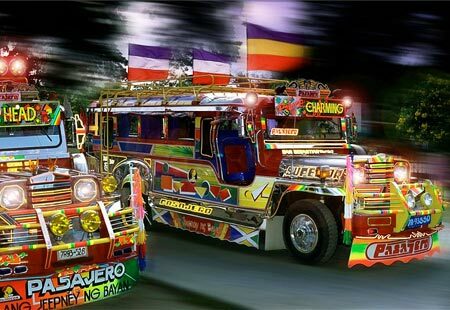 Ah, the iconic jeepney. 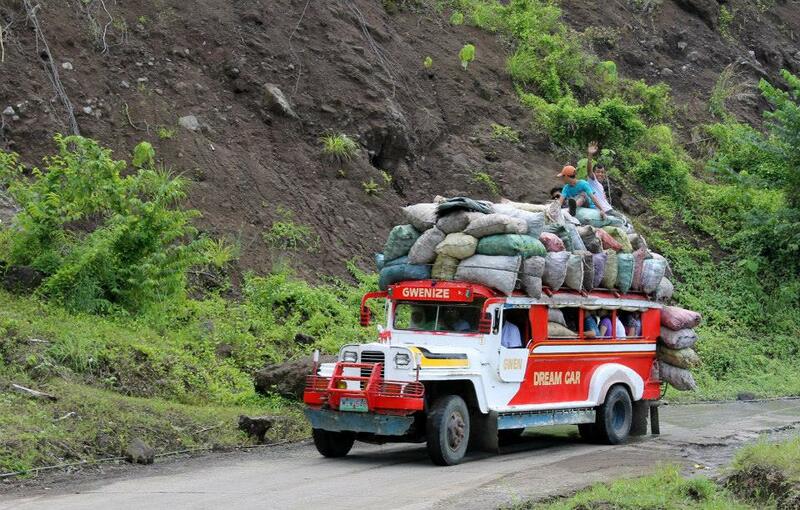 Anyone who has visited the Philippines or seen pictures of this fun country has no doubt noticed these quirky leftover relics of World War II hauling massive amounts of people from point to point for about 20 cents. You can’t argue with the bargain, but is it maybe time to upgrade the system? Or is that just cultural blasphemy? War. In order to seat more people, the centers were chopped, bench seats were installed sideways, and the body was stretched. Although not so much anymore, they were rolling pieces and iconography, with murals, chrome, and dangly crocheted decorations hanging from the front window. But I have to be honest, they can be kind of a pain in the tail. The “classic” look, art museums on wheels! The look has turned much more functional in larger cities, so seeing ones like this is fun! The sheer number on the road. The sizes vary, but the average jeep carries about 20 people. Some times of the day, this is just right. But, when rush hour approaches, and there are a gazillion other vehicles on the road, the seating doesn’t magically increase, so the sheer number on the road does. Sea of jeeps during rush hour…bracing for the evening rain to start. There are no designated stops. Well, there are loading and unloading zones, but they are “suggestions”, you know how it goes. This is my biggest pet peeve, especially when I am driving behind one. My time is incredibly important you know. 😉 But it does get frustrating, and it wastes a ton of time. When you’re a passenger, you just tap your coins on the roof or call to the driver that you want off, and he immediately pulls over. Immediately. Convenient as a passenger, yes. But, he often doesn’t take into account that there are 3 people waiting to get on 15 feet away. Nope, he takes off, drives 15 feet, and pulls over again. And then, 10 feet later, another passenger decides they want off, because 25 feet back just wasn’t close enough to their destination. By the way, most drop off and pick up spots coincide with shaded spots, whether it’s a building, phone pole, or tree. They also make great freight haulers! Getting on and off is incredibly awkward, especially if you’re over 3 feet tall. The bench seats sit just a few feet apart, at times you are bumping knees with your neighbor across the aisle. The ceiling is low, so you can’t stand up while shuffling to the empty seat, which is always at the very front, since everyone scoots to the back as room becomes available. So, on a crowded trip, you are forced to plow through a sea of knees, hunched over, watching your bags, saying “‘scuse, scuse, scuse” over and over. Extra entertainment points if you’re over six feet tall, like my guys. Fortunately, there is some courtesy when it comes to the elderly, pregnant, and those with babies or kids, people are usually cool and make room near the back. Oh, and the driver, who is paid by the passenger, makes sure his posted “maximum allowed” load is filled, no matter the size of the passenger. It doesn’t matter if he has 10 teenage girls that weigh 12 pounds each or 10 chubby westerners, he will fill to 12, even if it means you’re sitting on a neighbor’s lap. Culturally, space is always tight, so most people think nothing of it, but it’s really awkward when you find yourself half-sitting on guy’s lap, accidentally resting your hand on his thigh. Don’t ask how I know. It’s not too much of an issue in smaller towns, where riding on top is totally acceptable, but in the larger cities, the traffic cops are cracking down on external passengers. 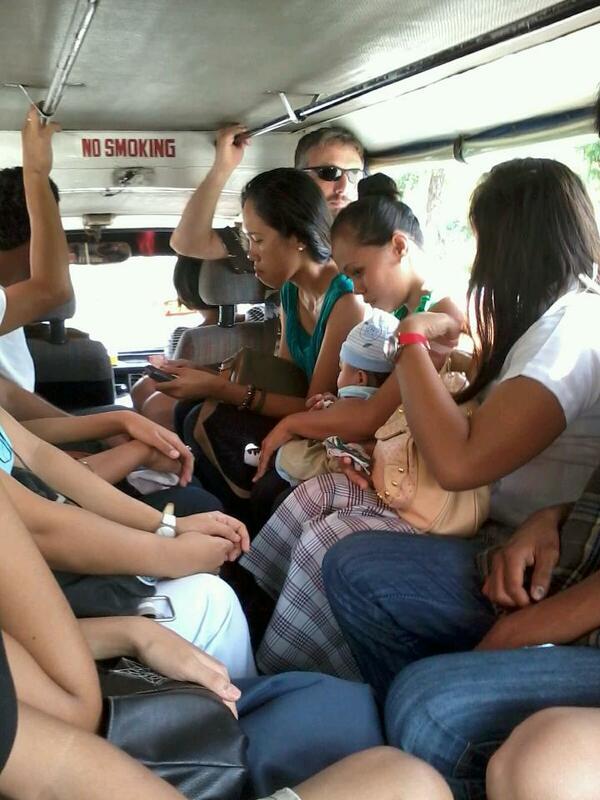 Although I did see a guy in Manila sitting in a recliner on top of a jeepney once. He looked a lot more comfy than the passengers inside. Poor Dan…six feet tall, and pushed to the very front. So what’s the solution? It’s hard to just say, “convert to buses or underground/above ground transportation”. While I think either would make a difference, it’s a huge huge investment, that just isn’t available. I think most of the jeepneys are the originals from 60 years ago. Well, maybe not, but they feel like it. And there’s always the argument that, “They’re iconic! A piece of history! You can’t change it!” True, but given that line of reasoning, why did we stop using stagecoaches and the Pony Express? Or coal burning locomotives? Like most issues, the answers aren’t easy, or it would have been addressed already. It’s just part of living outside of the cushy First World. All that said though, I actually enjoy riding them on occasion. The fare is unbeatable, the cultural exposure is fun, and if you’re really lucky, your driver will have a ripping sound system that pumps out an 80s dance mix. Maybe next time I’ll ask my seat mate to dance. Enjoyed reading your blog today. My family and I have been in the US three months now. Your blog reminds me of ‘home’. Next Post What To Do About Third Culture Teens?